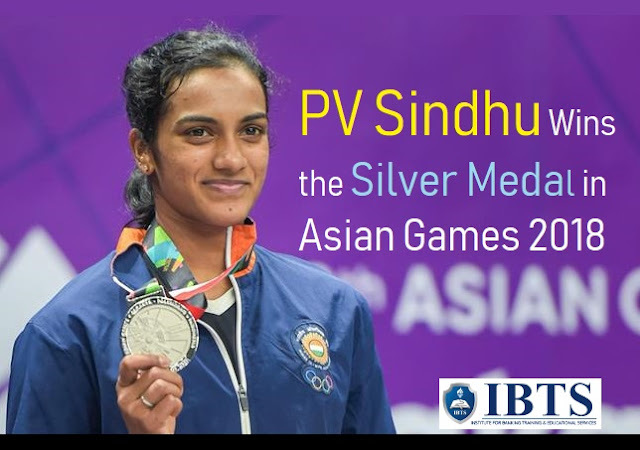 Indian badminton player PV Sindhu (23-year) has won the historic individual silver medal at the 2018 Asian Games. She lost 13-21 16-21 to Chinese Taipei's Tai Tzu Ying (World No 1) in just 34 minutes. Chopra managed a personal best throw of 88.06 to bag the top prize in the javelin throw. This was also India's first-ever gold medal in the javelin throw at the Asian Games. Neeraj Chopra born in the village of Khandra in Haryana's Panipat district. Japan women's National Team (U-20) has won the U-20 Spain Women's National Team at the final of the FIFA U-20 Women's World Cup France 2018. Takarada Saori was named as the Player of the match with her goal and an assist. Takarada was also awarded the Adidas Bronze Boot as well as the Adidas Silver Ball, while Minami was awarded the Bronze Ball. Japan received the Fair-play award as a team and the FIFA U-20 Women's World Cup France 2018 has closed its curtains. Noted Malayalam film director K K Haridas (55-year) passed away following some heart-related ailments. Former Bengal cricketer Gopal Bose (71-years) passed away in London. Gopal Bose played 78 first-class matches with an average of 30.79. For India, he played alone ODI (One Day International) against England in Oval where he scored 13 runs. The Union Government has announced regulations for safe commercial usage of drones, effective from 1st December 2018. The regulations are intended to enable visual line-of-sight daytime-only and a maximum of 400 feet altitude operations. These progressive regulations will encourage a vast Made in India drone industry. The DGCA has defined remotely piloted aircraft (RPA) as an unmanned aircraft piloted from a remote pilot station. Drone: An unmanned aerial vehicle (UAV) or ‘drone’ is an aircraft without a human pilot aboard. UAVs are a component of an unmanned aircraft system (UAS) a ground-based controller, and a system of communications between the two. The DGCA has segregated drones into five different categories, depending on their weight. Tamil Nadu Chief Minister K Palaniswami has inaugurated India's tallest Film Studio ‘MGR Centenary Film Studio’. The 56 feet tall, 361 feet long and 100 feet wide studio was constructed using funds collected by the Federation of Film Employees Union of South India (FEFSI), at Paiyanur. The union govt. has signed a Memorandum of Understanding (MoU) with the six Upper Yamuna basin states for the construction of Lakhwar multi-purpose project in Uttarakhand. The states are Uttarakhand, Himachal Pradesh, Uttar Pradesh, Rajasthan, Haryana, and Delhi (UT). The Union Minister for Ganga Rejuvenation Nitin Gadkari inked the MoU with the Chief Ministers of these states in New Delhi for the project worth 3966.51 crore rupees. The Lakhwar project envisages construction of a 204-metre high concrete dam across river Yamuna in Uttarakhand with a live storage capacity of 330.66 million cubic metre (MCM). It will also irrigate 33,780 hectares of land and generate 300 Megawatt of power. SBI branches have been changed across the country as per the SBI list enlisting the old and new IFSC codes after rationalisation/merger with associate banks and BMB. As result of merger, SBI witnessed the addition of around 71,000 new employees to its earlier workforce of around 2 lakhs. SBI had 22,428 branches across the country by the end of the first quarter of the current fiscal. The Union Minister Dharmendra Pradhan has launched an online portal for common carrier capacity booking by marketing entities for transportation of natural gas in New Delhi. The portal will enable easy, efficient and transparent booking of common carrier capacity for natural gas transmission service under Gail's pipelines. This is the first time that such portal in Natural Gas sector has been launched to provide gas consumers with the facility to register pipeline capacity booking online. The country’s first test flight powered by Biofuel landed at Indira Gandhi International Airport (IGIA) New Delhi. The test flight took off from Dehradun. Developed countries (Canada, Australia and US) have already conducted these test flights, India would be the first developing nation to experiment that. Spice Jet is the first Indian airline to fly on biofuel. The Biofuel was developed by Indian Institute of Petroleum, Dehradun. This is a huge step towards encouraging sustainable and alternative fuels for the transportation and aviation sector as envisaged in National Biofuels Policy. Odisha Chief Minister Naveen Patnaik has launched a programme, aimed at identifying and giving recognition to the young achievers of the state. The “Mu Hero, Mu Odisha” (I am Hero-I am Odisha) programme is an initiative of the state government to be conducted by the Biju Yuva Vahini (BYV) members. The BYV members are volunteers of the Department of Sports and Youth Affairs of the state government.